Our pre-drilled frames are easily assembled with minimal hand tools. (Unlike other products where drilling or field cutting is required). 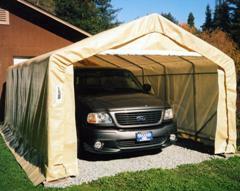 Main cover and doors are made from long life UV Resistant and Fire Retardant Poly with Fabric Backing. All fabric components feature heat welded seam construction. Unit features double zipper doors on both ends to allow drive though capability, and good ventilation. Each door contains a pocket for a rigid pole and grommets for securing them up during use. 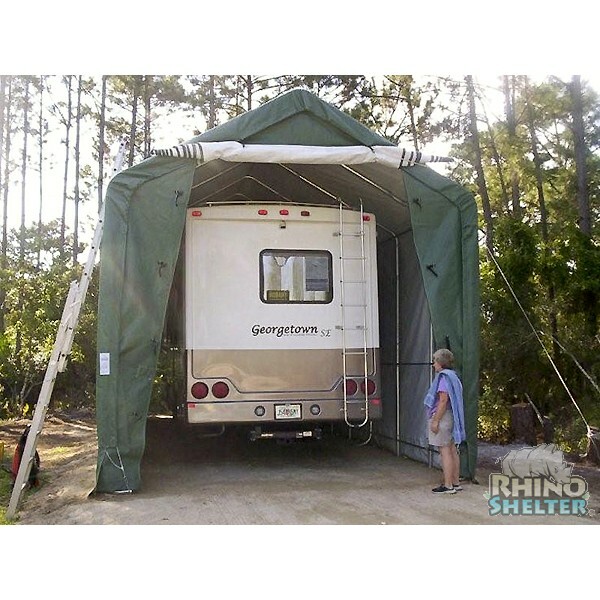 Each unit comes equipped with permanent anchor system and one door roll-up kit. 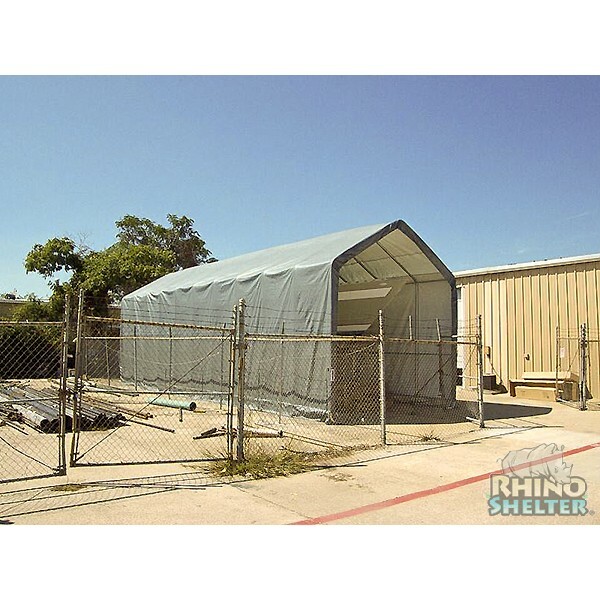 Main Cover UV Protected Fabric Backed Poly Material 10 0z. Weight. 22 Mil. Thick. Anchors Twenty-Two (22) 36” Anchor with U-Bolts & Drive Rod Std. * - Color Prefix: Green, Grey etc.